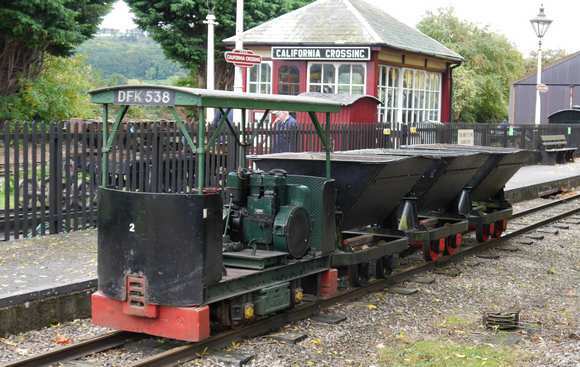 This locomotive was built locally at Dursley by the Lister company (Works No. 34523) in 1940 and came from the former Dowty Meco company in Worcester where it was used to transport materials over the internal factory railway. At one time this railway included a crossing over the Bromyard Road and as this was a public highway the locomotive had to be registered (DFK 538) and licensed like ordinary road vehicles although it was exempted from duty.